It’s not hard to install a swimming pool, while creating a compelling and unique swimming pool needs creative ideas. 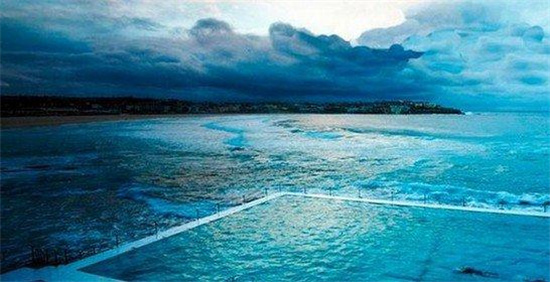 Today, let us look at those high-end swimming pool in the world, they are so fancy and remarkable that you will fall in love with them. And maybe you can get some new ideas for your next pool project! Bundy Iceberg Club is formed in 1929 with an aim to encourage people to take active part in swimming in winter. Nowadays, all visitors can enjoy their swimming time in such a vast pool at Olympic size. If you are lucky, you will see the dolphin and whale on the deck. 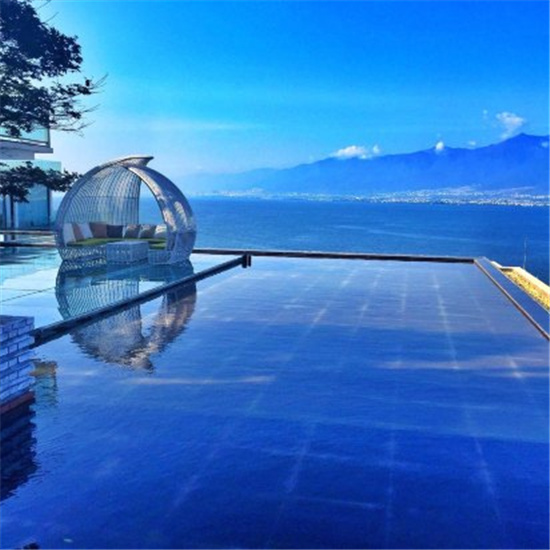 An outdoor no-boundary swimming pool surrounded by mountain and sea, bathing in this pool to see sunrise, sunset and limitless night sky, nothing could be better than this. 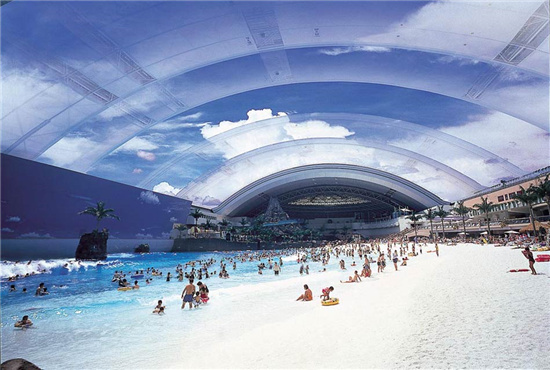 Ocean dome as a all-weather swimming pool, is approved as the largest indoor water park in the world, one of its fantastic design is the open-closed roof. 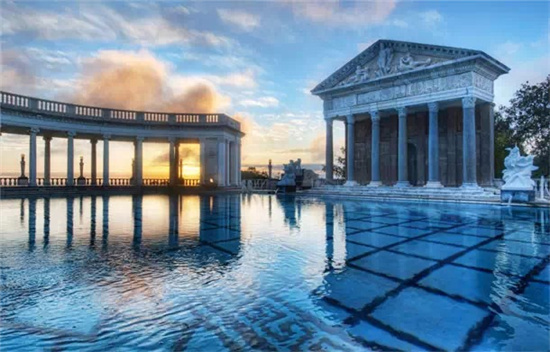 With a high cost of 12 million dollars, luxury building, this swimming pool has the title of “the most expensive private pool in America”. Hidden in the forest, all noise is kept away from this garden hotel, this swimming pool will offer you peace and comfort. A swimming pool of a constant temperature at 28-32℃, you can get extreme relax in such an unique and shinning pool. 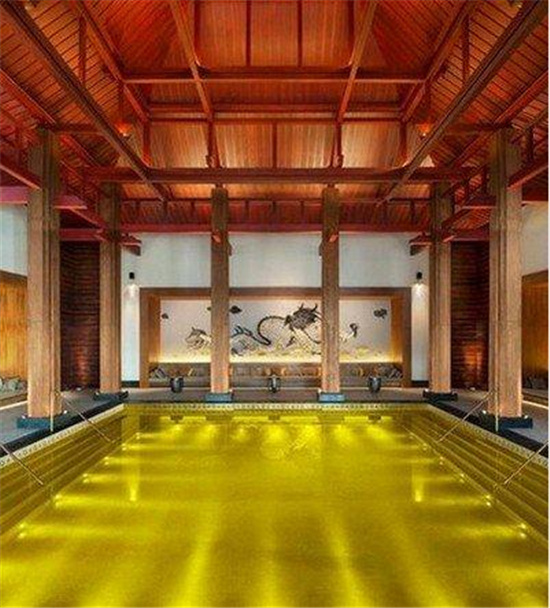 Do remember that this golden-energy pool is built for dabbling and relaxing , not for diving. It’s unbelievable to find a clear swimming pool in such a rough environment. 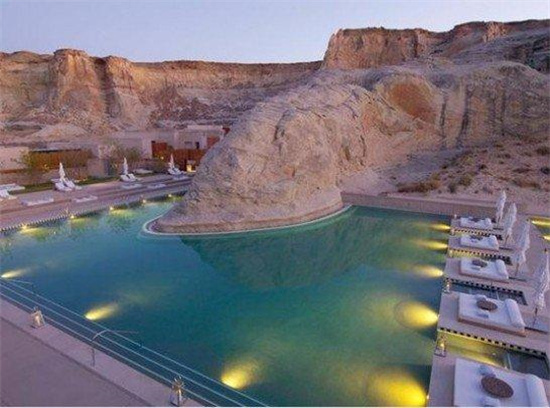 Compared with those indoor and outdoor pool, this swimming pool is stylish and different. What’s the highlight of the cave pool? Just look at the surroundings. There is no vast ocean, no green trees. 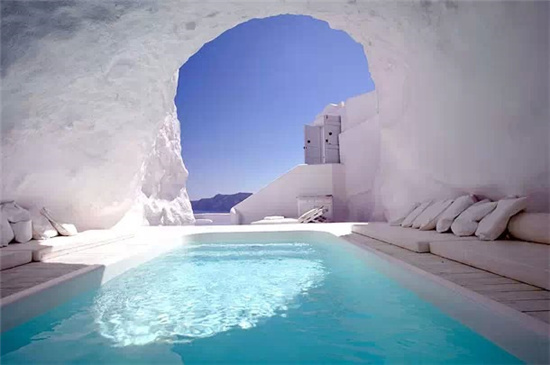 A simple blue-white hue level up the cave pool. Nobody will not love it! It is clear and peaceful. To be a neighbor of the sky is a gorgeous idea if there is no sea. As it gets dark, twinkles in the beautiful night sky will make you impressive! 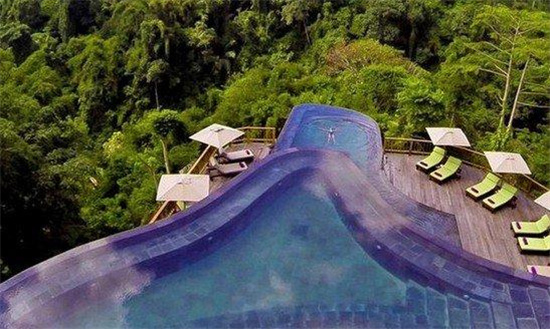 Ok, which swimming pool have catched you eyes? I think they are all impressive and fantastic-designed. Maybe you can find some good tips for your new swimming pool design, one is sure that right swimming pool tiles will make it successful. 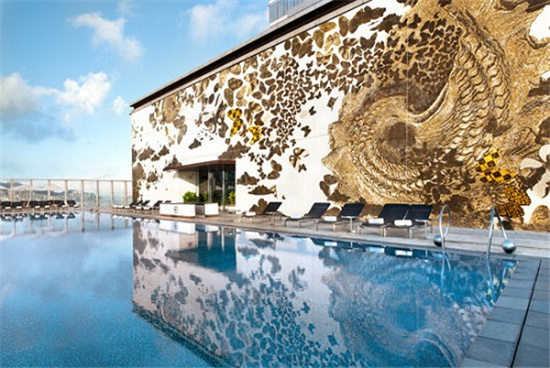 Next time, Bluwhale Tile will show you the popular pool mosaic tiles used in world swimming pool. 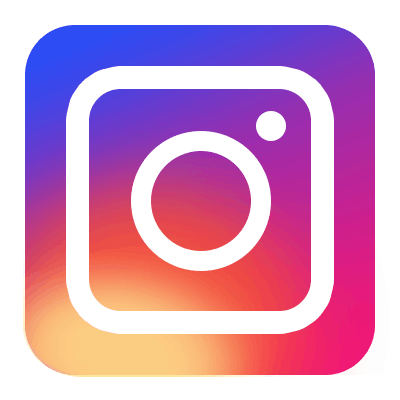 Are you looking forward to seeing it?